This cross necklace is made of solid silver stainless steel. The front features a high polished cross against a matte silver back ground with a high polish frame around the sides. 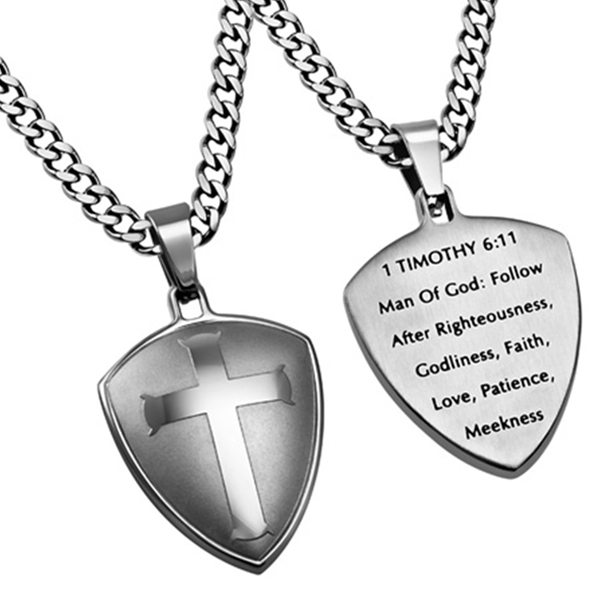 The back is engraved with 1 Timothy 6:11 which reads, "Man Of God: Follow After Righteousness, Godliness, Faith, Love, Patience, Meekness." Cross measures 1" x 1 1/4".